When translocating to other parts of the world, careful planning becomes key to avoid problems, delays and extra costs. If you are planning on exporting pets from Canada, be aware that quite a few steps may be involved. Some countries, such as the United States, require proof of a rabies vaccine, and not much else, if you are driving over the border. 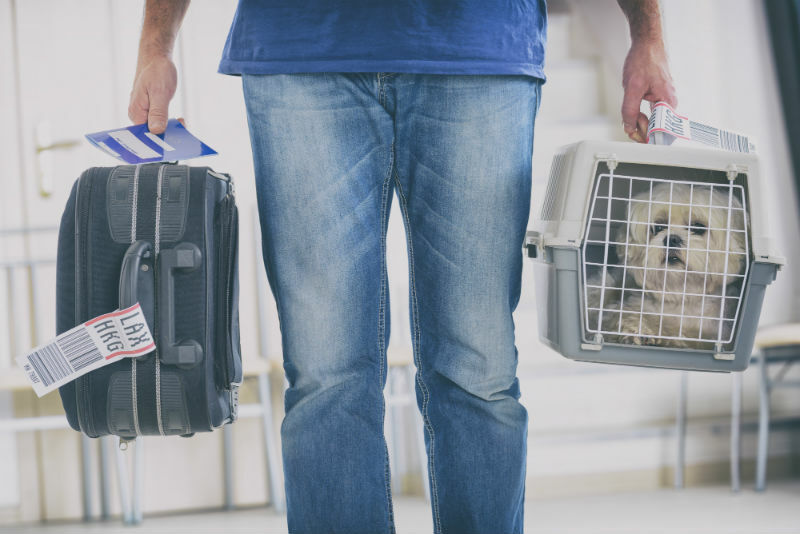 If you are flying, however, the airline or the airport may require paperwork citing the health of the pet, its vaccine status, parasite prevention, and certification that it is able to fly safely. Every country has different requirements, and those may change at any time. Anyone exporting their pet must first contact the Canadian Food Inspection Agency (CFIA). They have the most up to date information with all the details for each particular country. They can advise you on which forms must be filled out, the timing of veterinary exams, any needed laboratory testing, and parasite prevention. Make sure you discuss all airlines and airports you will be travelling through. Once you have all the information, you can then set up an appointment with your veterinarian for the necessary exam(s), and with the CFIA for the final approval of the paperwork. It is always recommended to drop off forms in advance of your veterinary appointment. Some forms can be quite involved and take significant time to fill out. Any errors can cause delays of even denying your pet entry into another country. It is also a good idea to contact the local consulate of the country you are travelling to for extra tips or concerns. Some companies will help prepare your pets for export, and for some places such as Australia, they can be quite helpful. Ultimately you are responsible for “crossing all the T’s” and “dotting all the I’s,” so please prepare early and be informed so your travel experience can be safe and smooth for you and your pets. One of our RVTs Emily and her fur baby Archie show us how to properly take care of your pet's teeth!